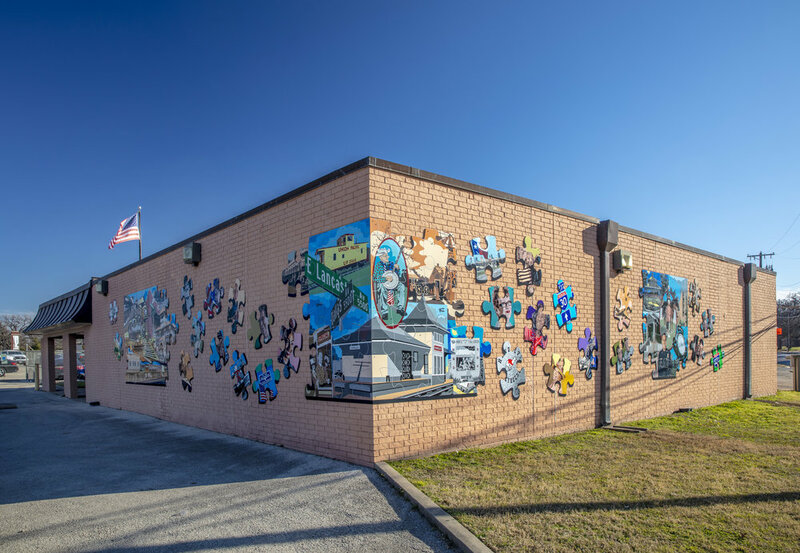 Fort Wort Public Art by Gregory Beck - Pieces of Yesterday, Today & Tomorrow. Water-jet cut aluminum panels finished with high-grade automotive paint with anti-grafitti clear coating. 85’ long by 10’ tall. Over 900 individual paint layers, 1,200 patterns and 300 custom mixed colors. Cedar Park Veterans Memorial - Cedar Park, TX “Honor for All” a 22-foot tall, 45,000 lb. Veterans Memorial Monument, for the City of Cedar Park. 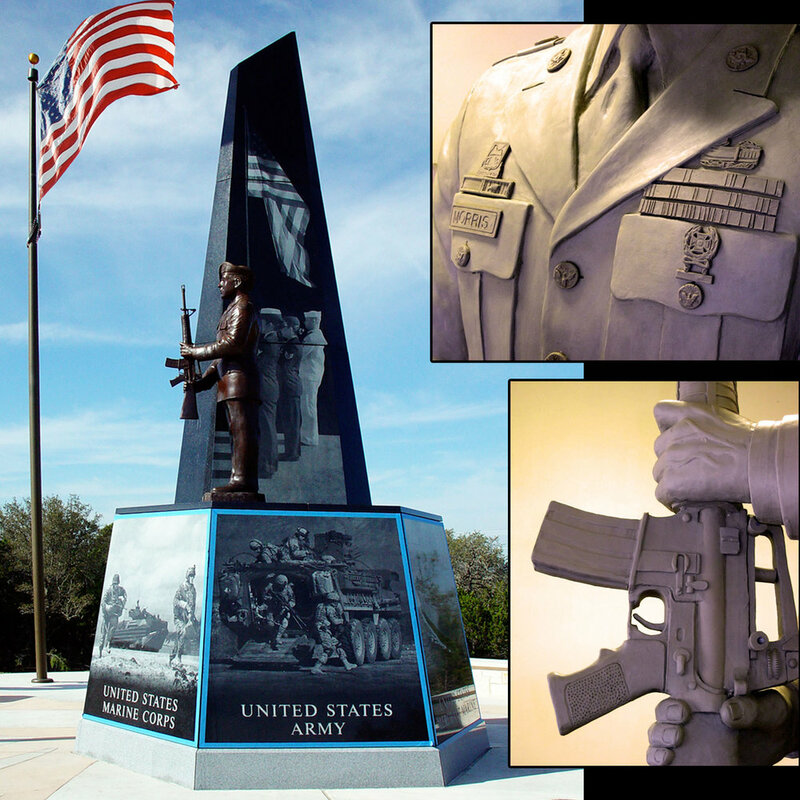 Design included a granite monolith with high-resolution laser etched graphics, atop an 8-foot tall, 6-sided granite etched base honoring each branch of service and a traditional over-life size bronze Honor Guard Soldier sculpture. Two Over -life size sculptures created for the entrance to Casa de Sol Y Luna Museum. Chicago, IL. M.D. Anderson Memorial - Jackson, TN “M.D. Anderson Memorial” Honoring Jackson, Tennessee’s visionary leaders Monroe Dunway Anderson – founder of the renowned M. D. Anderson Cancer Center in Houston and Partners. – Located on the grounds of the City of Jackson’s Federal Building.